Initiated in 1995 as a spin-off of Day of Caring and supported by the United Way of the Greater Lehigh Valley, this year-round program is a personalized matching of business volunteers with local agency projects. In 2017, more than 1200 employee volunteers from 42 companies participated in projects, donating over 4,700 volunteer hours at 40+ nonprofit agencies, and saving those agencies almost $114,000. Factors we consider in planning your projects include: size, areas of interests and budget of your business. The Volunteer Center will develop and manage custom volunteer projects for you and your organization from 5 to participants to 500. We have access and relationships with over 400 nonprofit organizations that we can match you and your team and will ensure that everyone who participates has a unique and meaningful service experience. 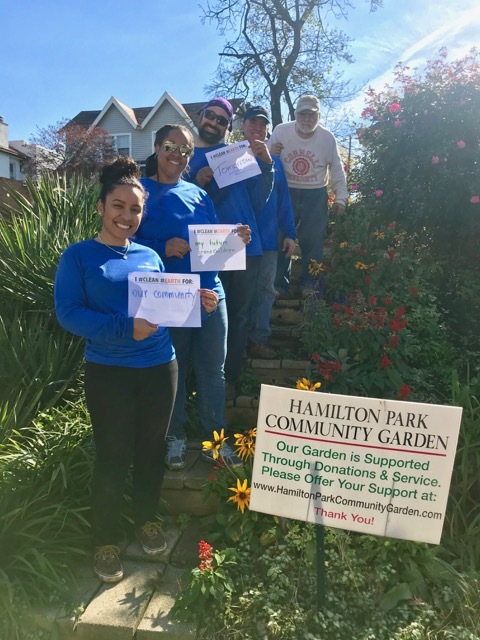 Volunteer projects not only benefit the agency served they also are a great way to build teamwork and enhance the culture of your organization. Projects range from construction projects; outdoor clean up and landscape beautification; inhouse administrative projects; direct service (tutoring youth, family activity festivals, etc.) and more. Scopes of work are clearly defined and designed to best match the organization and the business partners. Additional areas of skilled volunteering are also available.